Verdict: This is more of a mini wireless remote with a keyboard feature, and as such it won’t replace a real keyboard. The only downsides to this device are the lack of hand support when typing, and that the keys/buttons are not well thought out. I think Lenovo should call it the ‘Lenovo Mini Wireless Remote with Keyboard/mouse’ instead, which would adjust the expectation that customers may have of this device and what its main functions were. Picture 1. 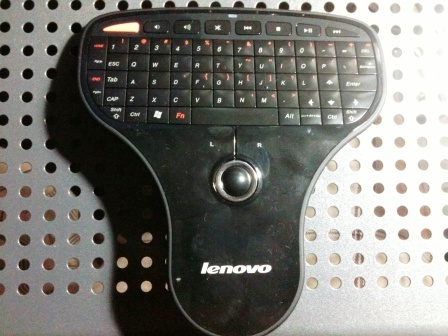 Lenovo Mini Wireless Keyboard. I got this gadget from an computer store from Sydney recently (16-Jun-2011) for the price of $29 (RRP $75), which was extremely cheap and as such i could not resist the temptation to buy it. After receiving the package from the Sydney computer store, i am surprised by the amount of foam packaging used in the packaging box, which is reassuring given how some people mistreats your package during delivery. Picture 2. 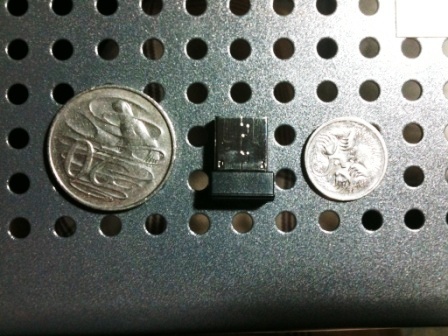 Lenovo Mini Wireless Keyboard’s miniature 2.4 ghz usb receiver. Picture 3. Lenovo Mini Wireless Keyboard with the nano adapter installed. Picture 4. 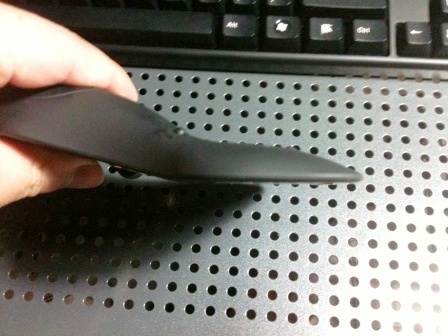 Lenovo Mini Wireless Keyboard without the nano adapter installed. Picture 5. The ruuberised backside of the wireless keyboard. 1. There were insufficient hand support under the keyboard area of the remote (it was relatively flat), which made it uncomfortable to use when typing out long documents. As such, you can’t really use this keyboard to replace a full size keyboard when you want to punch out a long document in Word, or use it to type out long emails without feeling a lot of cramps in your hand. 2. The scroll ball of the mouse was great and it was fairly accurate, but it has propensity to move slightly when you take the finger off, which make clicking the L/R buttons for the mouse a difficult process. In order to increase the accuracy of using the scroll ball mouse i have to use two hands, one for operating the ball and another for clicking the L/R buttons. 3. The other problem i found with the keyboard was that without backlit illumination, i have a hard time seeing the lettering on the keyboard in dark rooms. As such i think it would be beneficial if the keycaps could be backlit or painted in glow in the dark paint, to aid proper identification of the keys. 4. The last major problem i had with the keyboard was its key placements, some useful keys were incorrectly placed which added some difficulty to smooth one hand operation. Picture 6. The side profile of the Wireless Keyboard. Having big buttons for the multimedia controls, which i use all the time when i am using my keyboards, which lack the integrated multimedia control buttons. 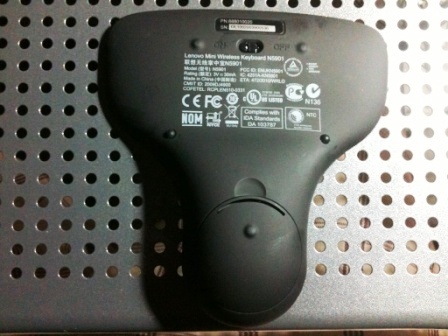 Having rubberised grip surface on the back of the device. 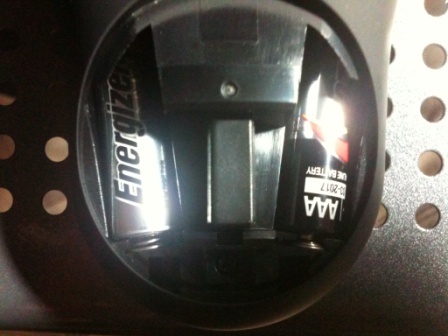 Using a miniature 2.4 ghz receiver that is stored within the battery compartment when not in use. Having a big orange shortcut key for launching My Computer in Windows OS. a shortcut key for Windows (like on large keyboards). After using this device for a few days, i adjusted my expectations and how i viewed this device (as a remote with keyboard feature, and not the other way around). 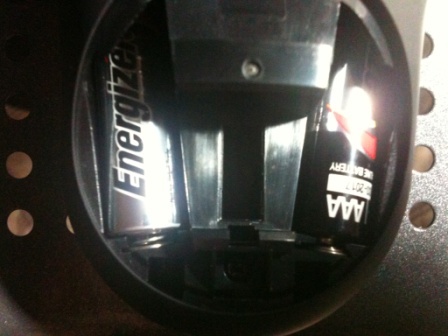 As such i came away with an appreciation of what the device was suppose to be and how i should use this device. Basically, this is a remote for HTPC and not really for doing presentations and all that, or as real keyboard alternatives for typing long documents. I would also suggest Lenovo to change the naming of the device from “Lenovo Mini Wireless Keyboard N5901″ into “Lenovo Mini Wireless Remote with Keyboard/Mouse N5901″. Lead_org out.